Linda Lashford travels for a living, and photographs as she travels. 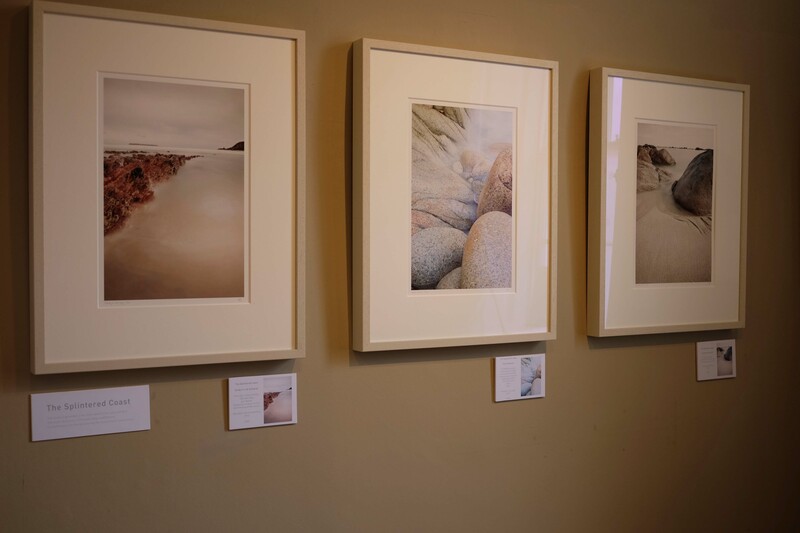 Hers are not simple documentary records of places though: Linda photographs by theme and the images in this exhibition “Songlines” are grouped into Intimations of Landscape, The Splintered Coast, and Trappings of Light. Her images are on display at the Joe Cornish Gallery, North Yorkshire, UK until 23 September 2015. 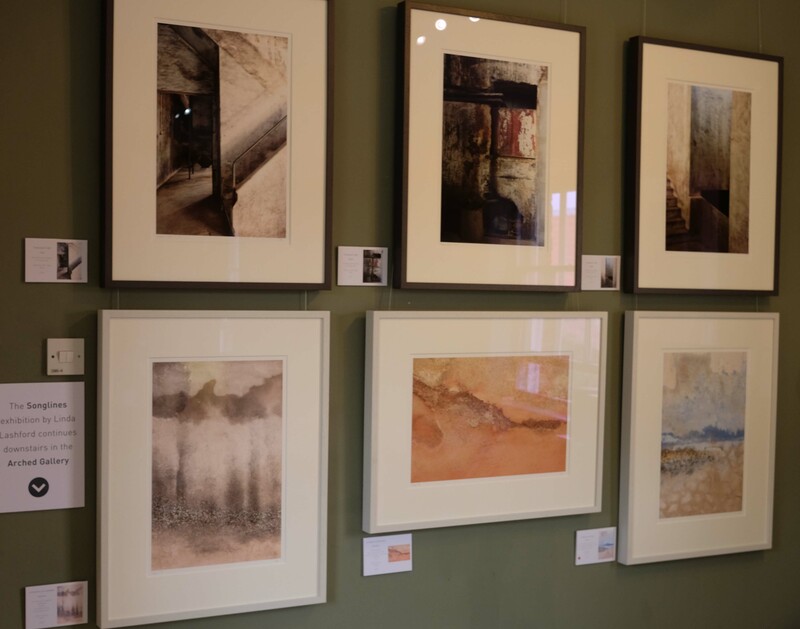 As you might guess from the title, Intimations of Landscape are intimate semi-abstract photographs of aspects of landscape such as water, distressed paint or mist using a limited tonal range and colour palatte. Most show close-up details that imply much larger landscapes. 4 images from Linda Lashford’s Intimations of Landscape series. Most of the 12 images in this series have little in the way of compositional elements to hold them together or guide the eye; the viewer is left to wander through each image and imagine what lies beyond the frame. These aren’t images of something but rather about something. That “something” is really for the viewer to decide based on the emotions and memories the images evoke. The images hover between a physical reality and a spiritual plane. As Minor White would have said: it’s not what is photographed that’s significant but what else is photographed. The Splintered Coast contains 6 studies of the coastlines of Cornwall, South Wales and Brittany. Of all Linda’s images these are the most anchored in reality, the most literal of the themes. Unlike her other series, most of these contain horizons – perhaps it is this horizontal reference plane that implies the reality and makes it difficult to make the mental jump to any metaphoric plane. Instead I found myself comparing the similarities and differences of the coastlines depicted, which made it, at least for me, the least satisfying of the series. The beautifully titled Trappings of Light series was taken in an abandoned cork factory in Portugal. “Oh no, not another abandoned-factory-stroke-urban-decay project” you may be thinking. Well no, it isn’t another me-too project about decay; Linda’s control of the photographic process and her eye for isolating and composing details out of visual noise show their strength in this series of 8 images. Form and texture interact with controlled abandon; there is light and shade but the highlights have detail and the shadows never block up. The light is without doubt trapped by these images and give pleasure and intrigue to the viewer that, like Intimations of Landscape, is rewarded by lingering with each photograph in a meditative frame of mind. 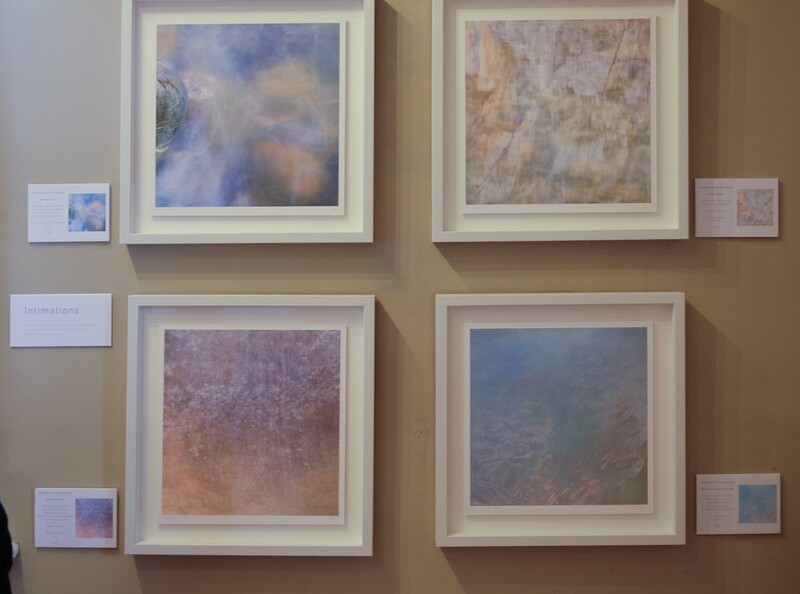 Songlines is a varied and satisfying set of images from a talented photographer. My only reservation isn’t about the images but about their display: the presentation and framing of each image is excellent but the hanging splits the series between walls and floors in the gallery, making them less coherent as bodies of work, and appears to associate images by superficial visual similarity rather than developing an underlying theme or narrative. This is understandable as the gallery is quite crowded with images from various photographers and tends towards a hard-working emporium of pictures rather than an art gallery, but it is a commercial enterprise and if that’s what’s needed to keep it running then I’m not going to knock it. Just control your expectations if you go there – and I recommend that you do! This entry was posted in Art, exhibition, galleries, Landscape, Photography, reviews and tagged Art, exhibition, Joe Cornish Gallery, landscape, Linda Lashford, photographic exhibitions, photography, Songlines. Bookmark the permalink. Is Edward James' garden, Las Pozas, surreal? Grayson Perry: "Democracy has Bad Taste"